I had the opportunity to test this fab little pattern for Vikki Ward Hibbins of Bishy Barnababes. Its the cutest little purse with a choice of animals which also turns into a little puppet. Theres a bear, a cat, a piggy , a mouse and maybe others. 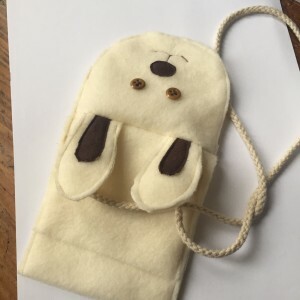 Its very quick to sew, a great stash buster and makes a brilliant gift for any child. My boy loves the little bunny purse that I made. Although the next one a make I will use some velcro to ensure a better closure as he likes to fill it to the brim with change! bunny purse, you can see the opening at the back where a little ones hand can transform the purse into a puppet. 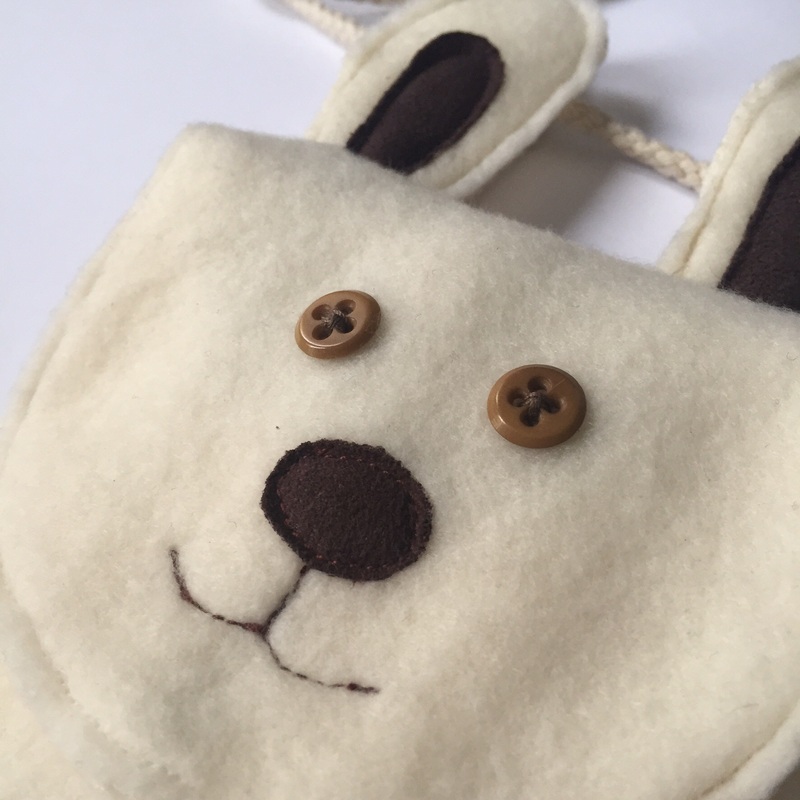 Go ahead and check out vikki’s colourful blog and delightful purse pattern. The cost of the pattern is just over £3 around $5 I think. She has an etsy shop. Purse open, you can see puppet mouth. Since I tested the pattern and managed to blog about it Vikki has also released a pudsey bear and a flower version. There are stacks of creative ways to make a cutie purse! 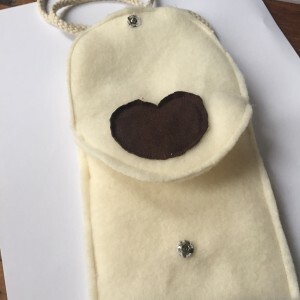 This entry was posted in Childrens purse, Uncategorized on November 16, 2015 by louise.